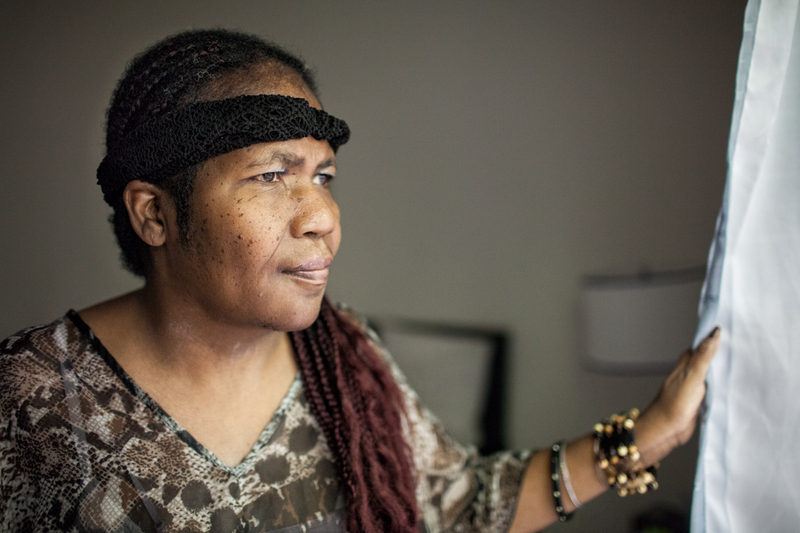 Up until one month ago, 52-year-old Rachael was living in a nursing home in Decatur, Georgia. For the first time in her life she is finally living in her own apartment. This is the dream she had envisioned for a long time. Rachael’s ability to transition from the nursing home into the community is a tribute to Rachael’s determination, her cousin’s commitment to do what was in Rachael’s best interest, and the dedication of a paralegal at the Atlanta Legal Aid Society. In working together with the Department of Behavioral Health and Developmental Disabilities, Rachael was able to obtain a Medicaid waiver. The waiver provides support for Rachael in her apartment as well as funding for a day program which she attends during the week. Stay connected to learn more about Rachael’s story. 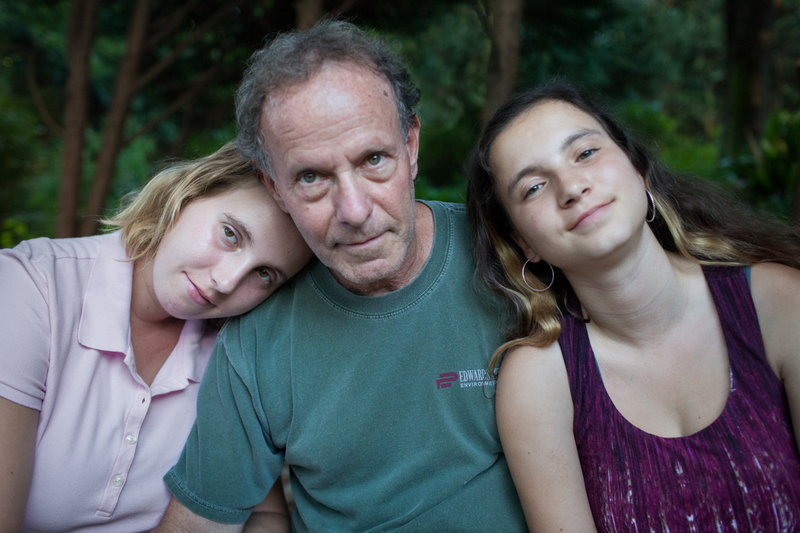 Mae with her father and sister, Lena, who is also living with autism. Through all these trials and tribulations, we are raising two girls who continue to be loving, kind, caring, and all around wonderful people who would befriend every person they meet, and certainly talk to anyone and everyone without discrimination or discernment. Their challenges are not due to anything they have done wrong or chosen to have…it’s all just an unforeseeable and unfortunate genetic abnormality. They rarely complain about the limitations they recognize in themselves and move through life with a sort of stumbling grace I envy. I am their father and I love them and hope we as parents can put things in place to assure reasonably full and meaningful lives for them. 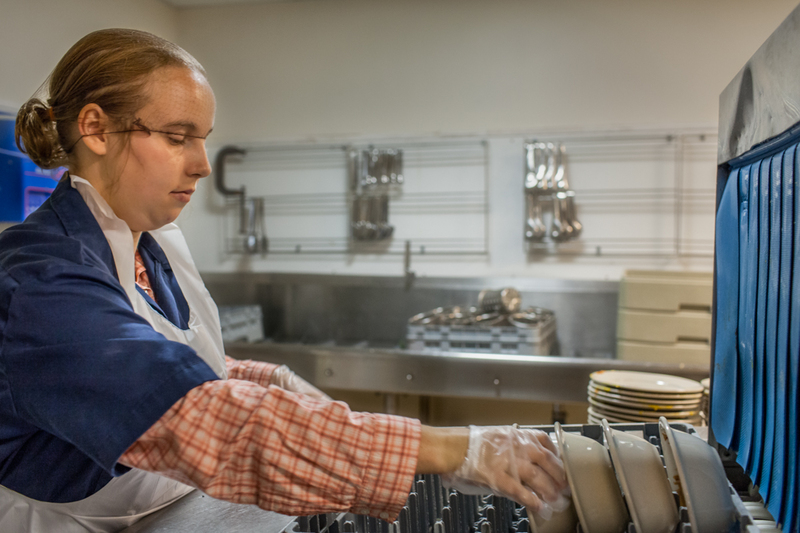 Mae works in the cafeteria at Agnes Scott College once a week through a job training program at her high school. Over 80% of adults with intellectual disabilities are not employed. Approximately 63% of people with disabilities who are unemployed want to work. The majority of special education students who age out of high school could be successful at working paid jobs in the community but supported employment is needed to ensure their success. Earning an income would steer these individuals away from a life of dependence and poverty. For every dollar invested in supported employment there is a return of $1.61. Once Mae ages out of high school in November our focus will be on job training. Mae is very capable of working but she will need perhaps a year of social skills, community navigation and job training before she would be ready to be placed, then who knows how many months of job coaching? However, at some point I believe she will make a good employee and by working, she will begin to return Georgia’s investment in her. She has participated in a number of internship positions through her high school program and the common denominator is that she is a pleasure to work with so I am hopeful she will be able to find a position suitable for her, with time and help.